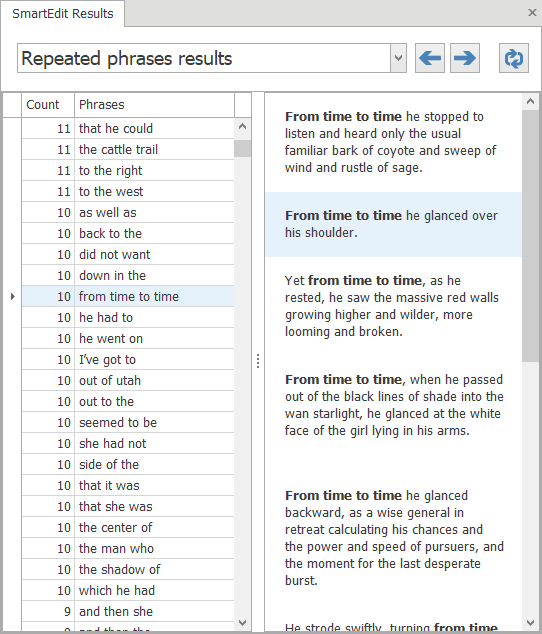 Editing app for writers working on their novels in Microsoft Word. Identify word and phrase over-use. 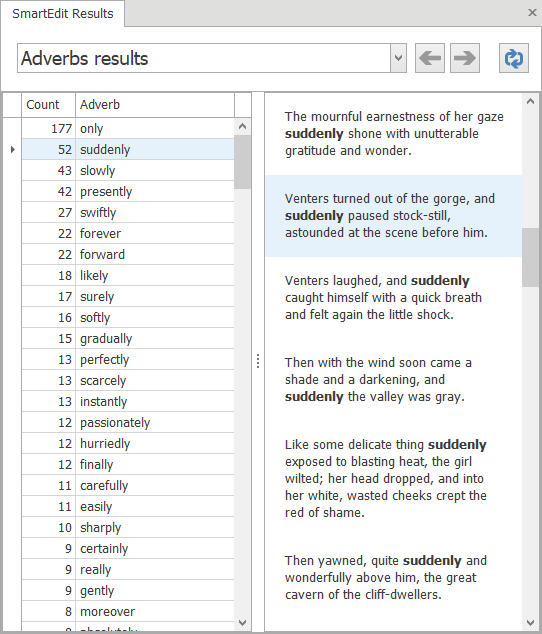 Monitor adverbs, crutch words & clichés. Improve sentence structure & punctuation. 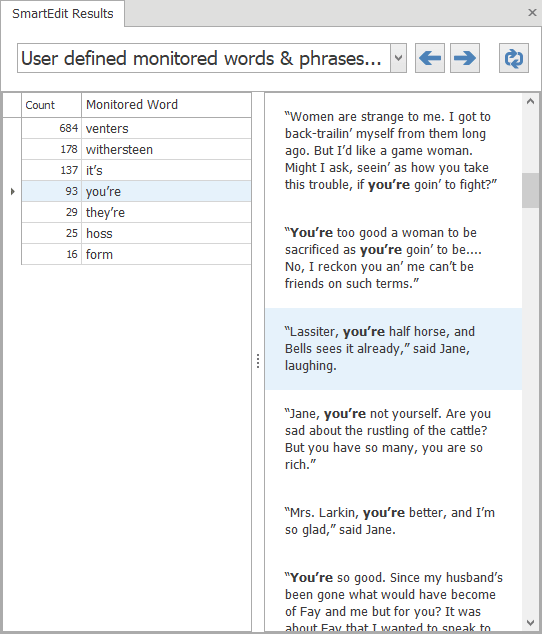 Our FREE app for writers who do not use Microsft Word. Prepare, research and plan your novel. Write your novel scene by scene. 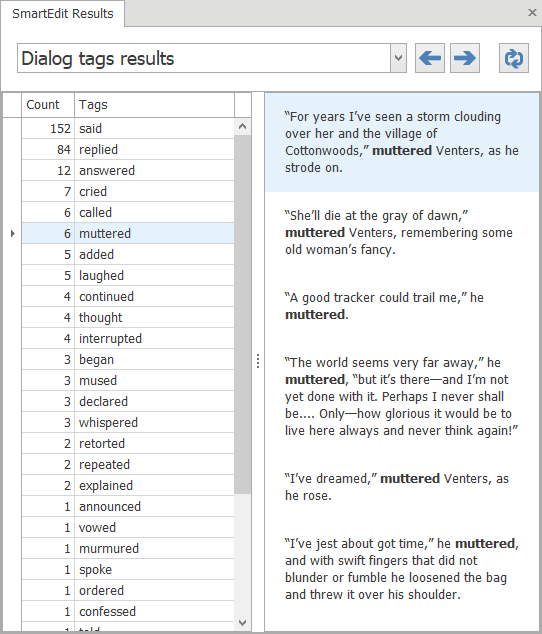 Edit, polish & improve your novel with SmartEdit Editor. Do you lean on certain words and phrases? Do you use a few too many adverbs? Are you overly fond of unusual dialogue tags? SmartEdit will find and help you fix these problems. Too many long sentences? SmartEdit will help you fix that in minutes. Do you have a misplaced love for the semi-colon? SmartEdit will show them all to you so you can decide if they belong. My creative process is greatly enhanced by the use of SmartEdit. The software does the routine editing and checking and lets me do what I do best, which is write. If you haven’t tried Smartedit, you need to. This is hands down one of the best things to use to get your manuscript out of the editing phase. SmartEdit takes the grunt out of the grunt work of copyediting by helping you track down overused and misused words and phrases. 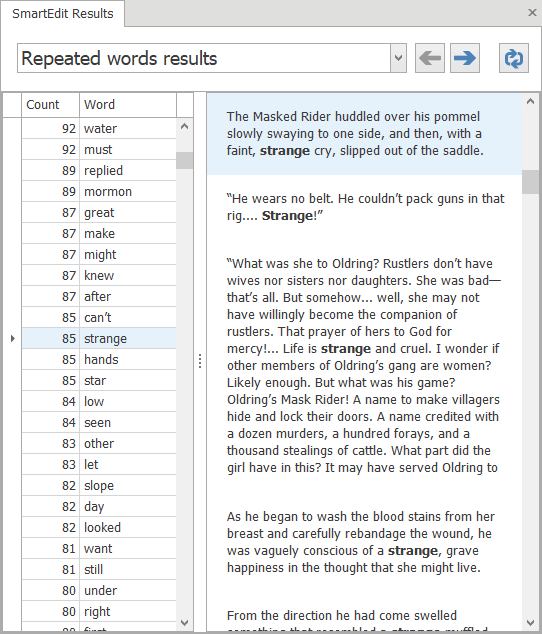 SmartEdit is one of the first and last steps I use for self-editing before submitting to my publisher. SmartEdit is a tool in my belt to turn out a quality product. The amount of time that SmartEdit can save is quite remarkable. 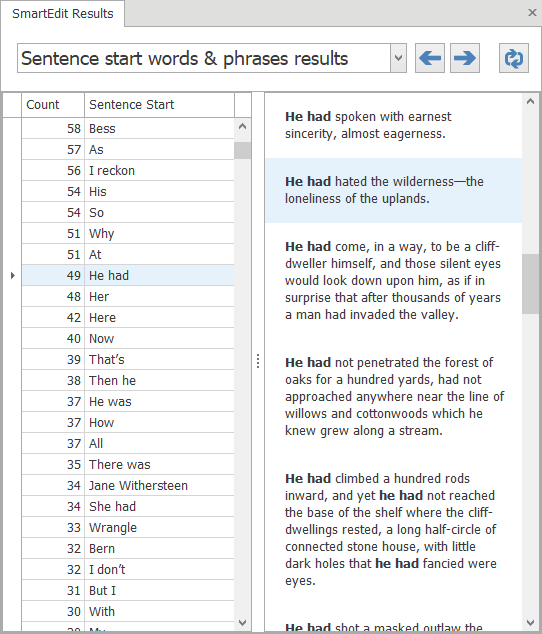 SmartEdit allows me to worry less about my writing up front and focus more on getting the words down. What does SmartEdit NOT do? You’re the creative writer; it’s your novel. SmartEdit is a tool that’s there to help you as you edit. A glorified spell-checker. Nothing more. Are you a published author? Are you planning to become a published author? Have you finished or are you close to finishing a first draft of a novel or short story? If you answered yes to any of these questions, SmartEdit is for you. Are you repeating particular phrases from time to time. Do you lean on certain phrases when beginning a sentence? Is suddenly a good choice in all these cases? How often are you using individual words? Tell SmartEdit which words are the cause of your most embarrassing typos. Would said be a better choice than muttered?